The internet is a place to find vast amounts of misleading and often unverifiable information. This can lead to problems for anxious people. Just try Googling a symptom you’ve been experiencing, and you’re inevitably three clicks away from diagnosing yourself with terminal cancer. (We’ve all done it.) Does a revelation like this lead to better health? No, because the internet is not a doctor. WebMD is a famous destination for sweaty-palmed symptom searchers. The 20-year-old site is famous for fear-mongering and drug-peddling, even though the company describes the content of WebMD.com as “physician-reviewed information.” (Whatever that means.) Theoretically, the idea that you can now access this information without visiting a website cluttered with ads from pharmaceutical companies seems like a positive development for health-conscious adults. But that’s only if you forget the fact that—say it with us now—the internet is not a doctor. Alexa, ask WebMD what are the side effects of steroids. 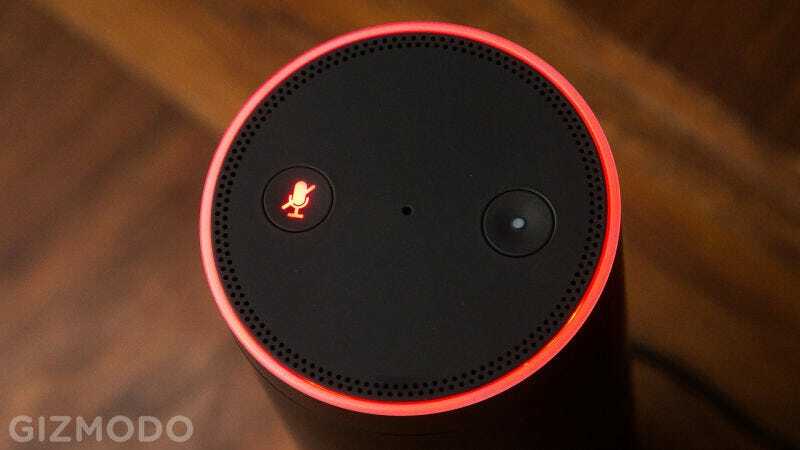 Alexa, ask WebMD to tell me about type 2 diabetes. Alexa, ask WebMD what are the symptoms of a heart attack. Now there’s the WebMD we all know and fear. While this information could help some poor soul with a heart condition, it could also, say, impel someone to call 911 when they’re having an anxiety attack due to asking Alexa for medical device. The future is grand! This is not to say that the internet only contains bad information about health and wellness. Aware of the problem with misleading health advice, Google actually started providing direct answers when you search for medical symptoms last year. Instead of using WebMD as a source, however, the search engine now pulls its facts from Harvard Medical School and the Mayo Clinic, a non-profit that employs actual doctors. A step in the right direction, you’d think, since the internet is not a doctor. Anyways, have fun with your increasingly powerful, artificially intelligent personal assistant Alexa. She can now offer unnerving medical advice propped up by major pharmaceutical companies as well as play your favorite tracks from Spotify. The internet may not be a doctor, but it’s still a damn good way to find music.